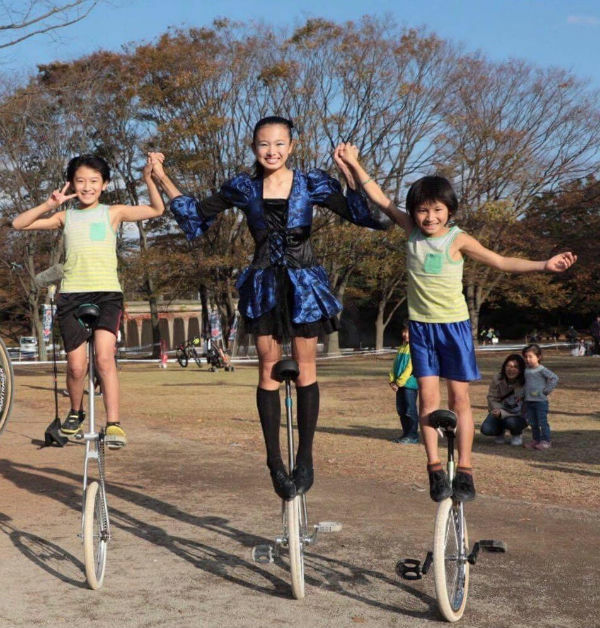 In Chigasaki City there resides a famous unicycle siblings, eldest sister Aoi was the winner in 2017 All Japan Track & Field Competition in the Girls Unicyle Obstacle Race, and placed 2nd in the 100 m Intermediate School division. In the same competition her eldest brother Misaki place first in the single tire riding competition in The Elementary School division. Youngest brother Yuki placed 2nd in the Unicycle Obstacle race Elementary School Division, he had won 4 out of 5 unicycle competition.